I decided to do something fun with my kids for Earth Day this year. We made apple printed canvas bags. Yes, it was messy, but it was also a lot of fun. Plus, the fabric paint (surprisingly) washed off easily from the floor, table, and chairs. Next time, I’ll remember to put newspaper down. 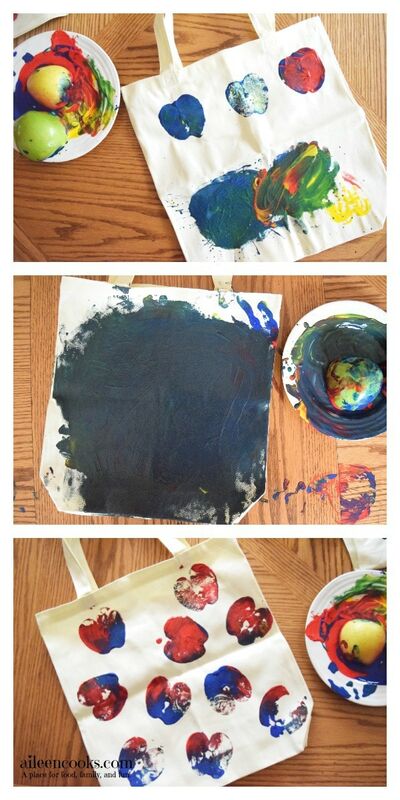 These DIY canvas bags would be a perfect project for a teacher gift or a fall art project. 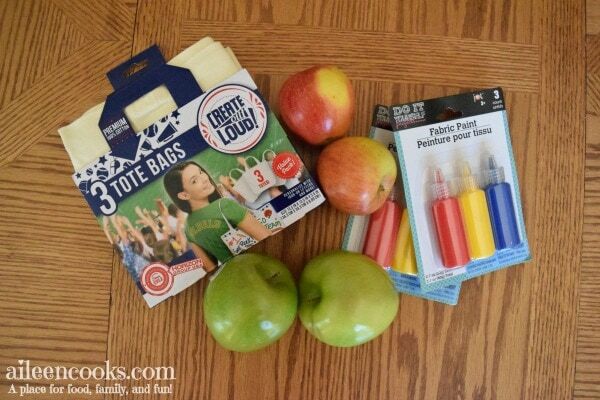 I love how versatile this project is and that you can keep the bags and use them again and again for trips to the library or grocery store. 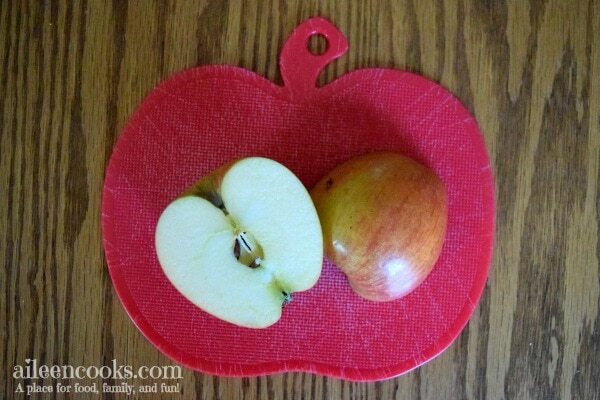 Start by cutting your apples in half. 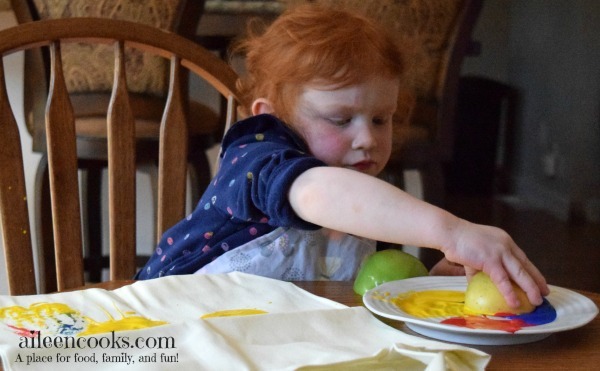 Squeeze the fabric paint out onto a plate. 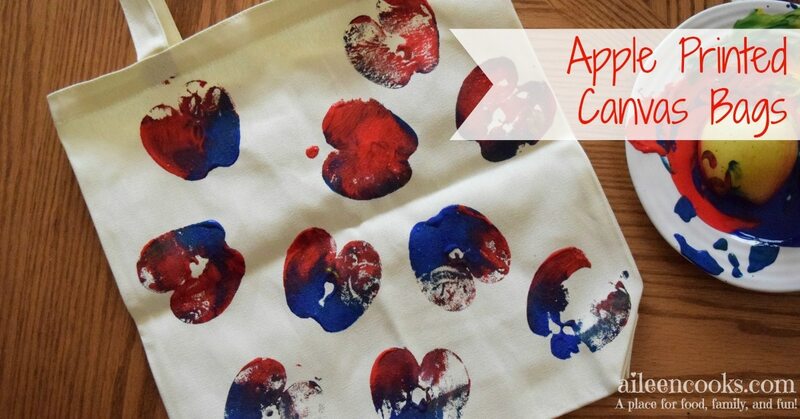 Dip the cut side of the apple into the paint and “stamp” on to the fabric. Continue until you have created a design you like on your apple printed canvas bag. Feel free to get your hands into it! As you can see, one of my children completely abandoned the apples in favor of finger painting. 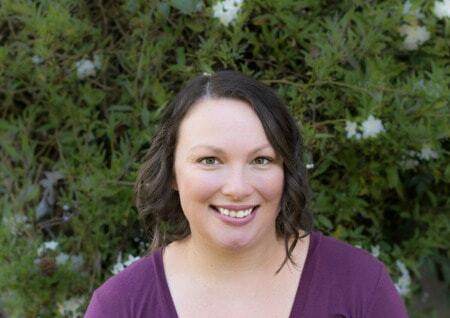 What’s beautiful about this project is it can turn out in so many ways – depending on your vision. 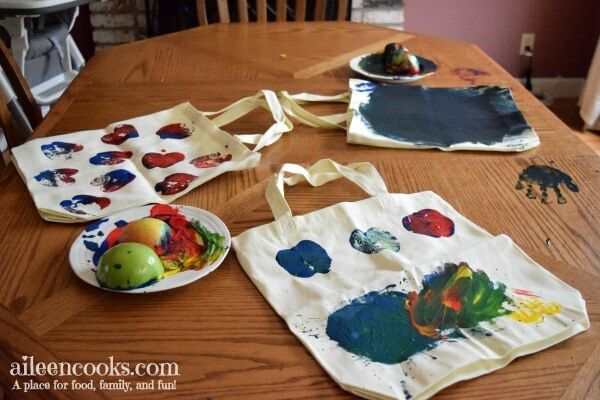 These bags can also be painted with carrots and celery. Feel free to get creative with the produce you use.